The fog lies heavy on the Mekong River. 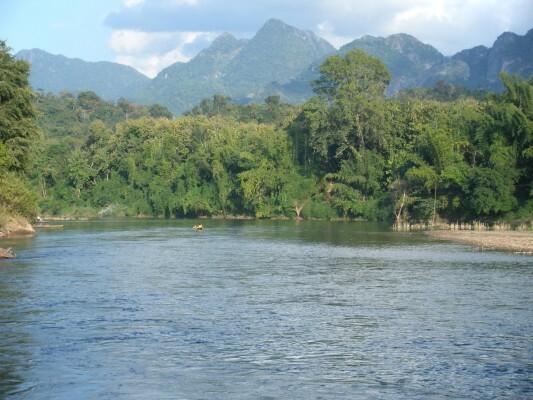 The Mekong conjures up many thoughts of another era, war and destruction. It is remarkable to be here. As the fog lifts, you cross by boat from Thailand to Lao PDR. 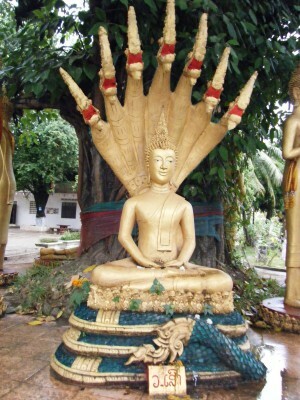 You begin your journey in Laos and it is a revelation, much different than you expected. It is lush and green and very mountainous. It is dotted with many villages, homes of thatch and bamboo. You hike in Luang Namtha province through thick jungle and steep paths used for centuries by the Lanten and Khmu people. They have their own languages and are animists. You cycle to Wat (temples) and stupas (shrines) in the countryside. Then you spend three memorable days in Luang Prabang, once the capital of Laos when it was a French colony and is now a UNESCO World Heritage site. It is situated at the confluence of the Mekong and Nam Khan rivers, a beautiful place, quiet and elegant. 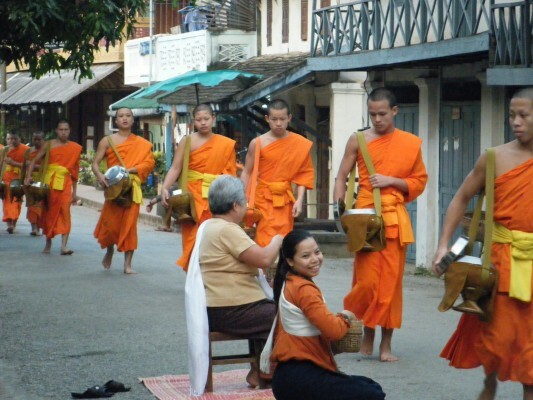 You rise at 5:30 am to see the monks in their orange robes leaving early morning prayers and being offered alms by the citizens of the city. 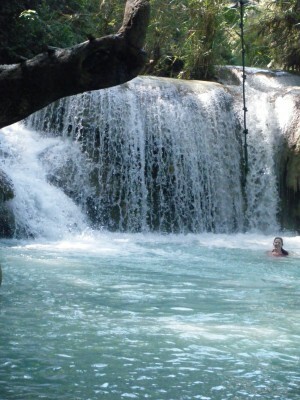 You cycle to a far-off waterfall and swim in the blue water, a welcome cooling-off after a very hot and challenging ride. 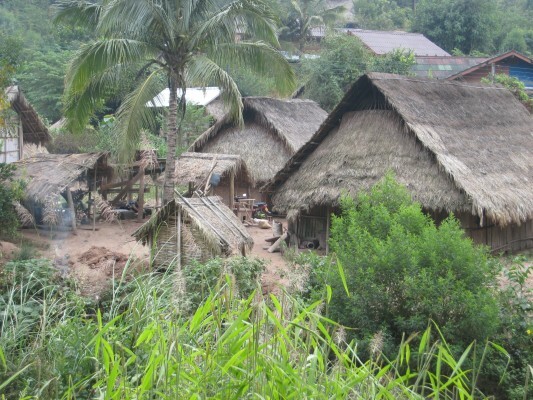 You take a long boat on the Nam Khan to a trailhead and hike to the remote villages of the Hmong people. You watch them harvest rice in the fields and weave bamboo. You see the children play and giggle, so different, yet the same as children everywhere. You continue to marvel at the variety of people and cultures you are seeing every day.